The epitome of frustration is when you are experiencing symptoms that have taken control of your life and medical professionals can’t find a way to alleviate them. For more than five years, that was Gig Harbor resident Ellen Dunn’s life. 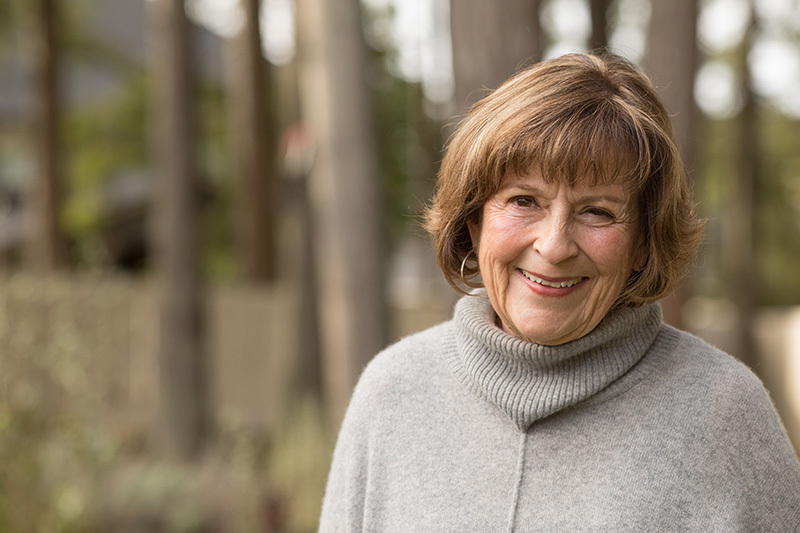 Ellen Dunn is one of two Virginia Mason patients in the Pacific Northwest to benefit from a therapy targeting neuroendocrine or carcinoid tumors, an uncommon cancer that affects the intestines, pancreas, lungs and other parts of the body. Fortunately for Ellen, she learned she had carcinoid tumors at the same time a treatment to control the growth of neuroendocrine or carcinoid tumors (NET) was going through a clinical trial, led by Hagen Kennecke, MD, oncologist and medical director of the Floyd & Delores Jones Cancer Institute at Virginia Mason. Along with another Virginia Mason patient, Ellen was selected to be one of the first two patients in the Pacific Northwest to receive this treatment. Called peptide receptor radionuclide therapy (PRRT), the treatment involves an injection of a small protein peptide into the patient’s bloodstream. The peptide finds the cancer tumors and binds to them, while also protecting the surrounding tissues. PRRT has been shown to significantly stop the growth of tumors for on average two and a half years. It is also beneficial to patients with advanced neuroendocrine tumors who are not candidates for surgery and whose symptoms are not responding to other medical treatment. In December, Dr. Kennecke and radiologist Marie Lee, MD, administered Ellen’s first treatment. She receives PRRT treatments every two months in an outpatient setting. The treatment takes only a few hours and has minimal side effects. Ellen had her third PRRT treatment in April. In early April 2018, Virginia Mason became the first medical center in the Pacific Northwest to administer PRRT as part of routine care, offering a viable new treatment to many patients. In the near future, Virginia Mason will be offering clinical trials of a very similar therapy to treat patients with prostate cancer.